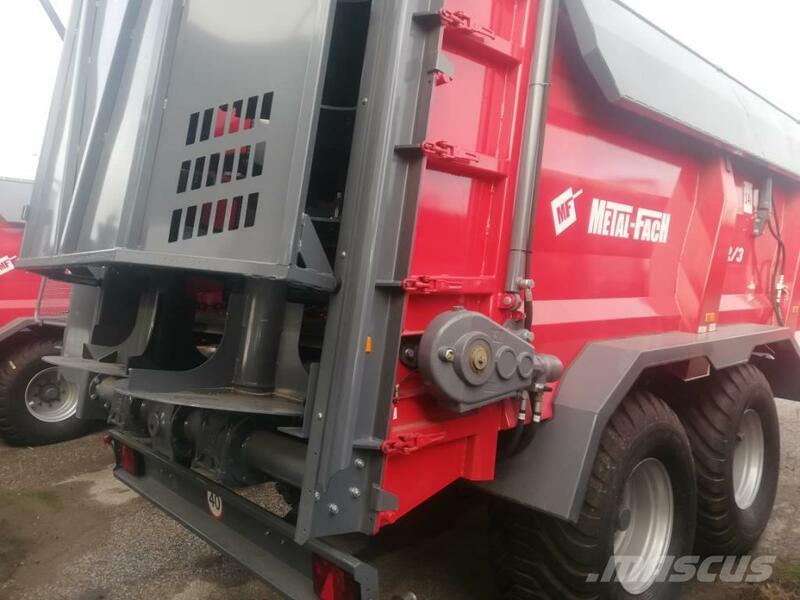 Drugi podatki The subject of advertisement is brand - new manure spreader by polish producer Metal Fach. Model of the machine is N272/3 Viking. 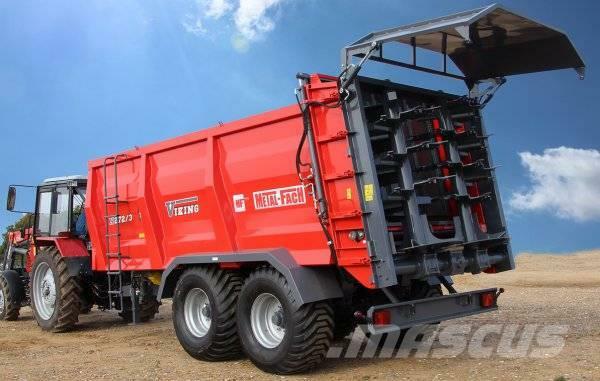 The new manure spreader from Metal-Fach can carry an impressive load of 14 tonnes in a load body of 13.4 m3. The tandem chassis runs on parabolic suspension springs. 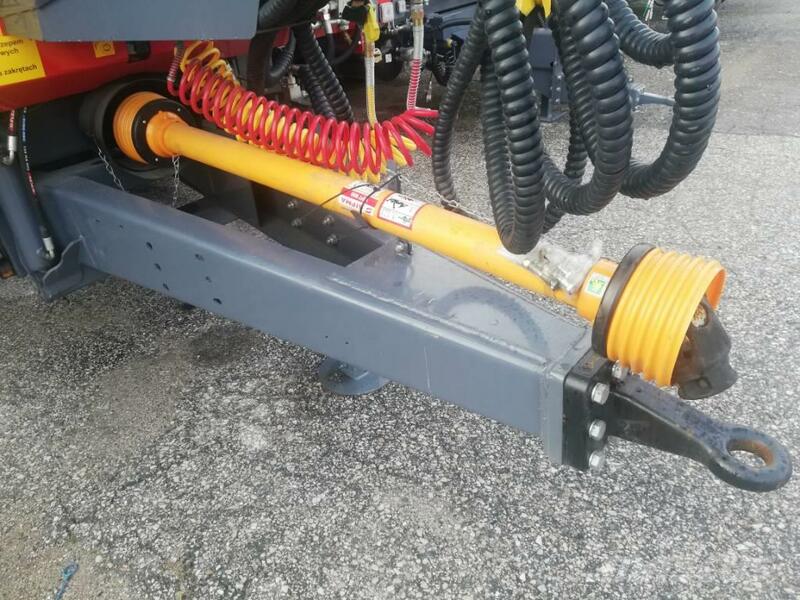 The installed hydraulic-powered floor conveyor has a reinforced design and 14 mm thick chain links. This machine is an all-rounder. 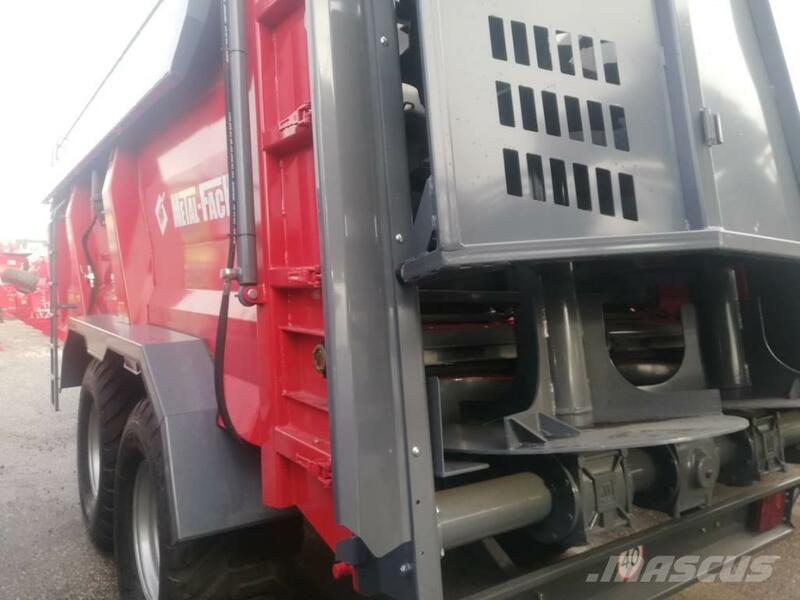 The special adapter facilitates spreading various grades of manure, peat or compost. 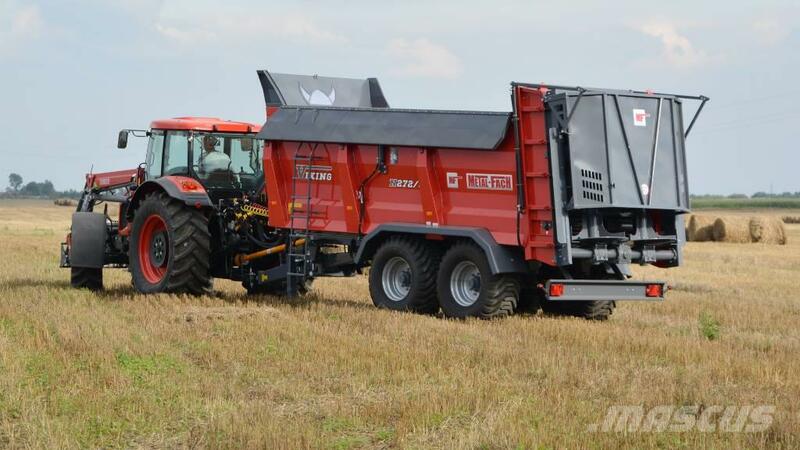 The spreader is efficient, durable and safe. The conveyor chains are tensioned by tension screws. The floor conveyor is protected from overloading with a friction coupling. 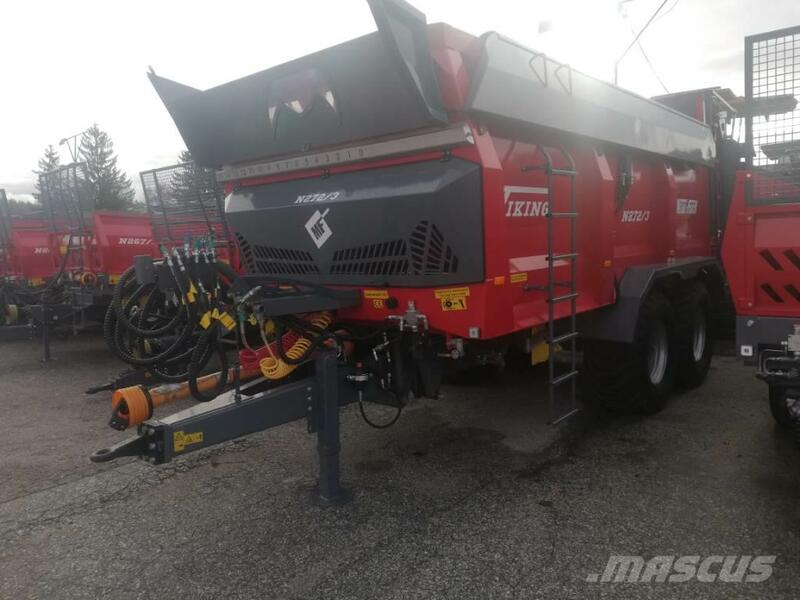 The special design of this machine facilitates even spreading of manure at distances from 8 to 12 m. The spreading dose volume can be adjusted with a hydraulic-powered rear gate. The gate features a lift indicator for improved safety. 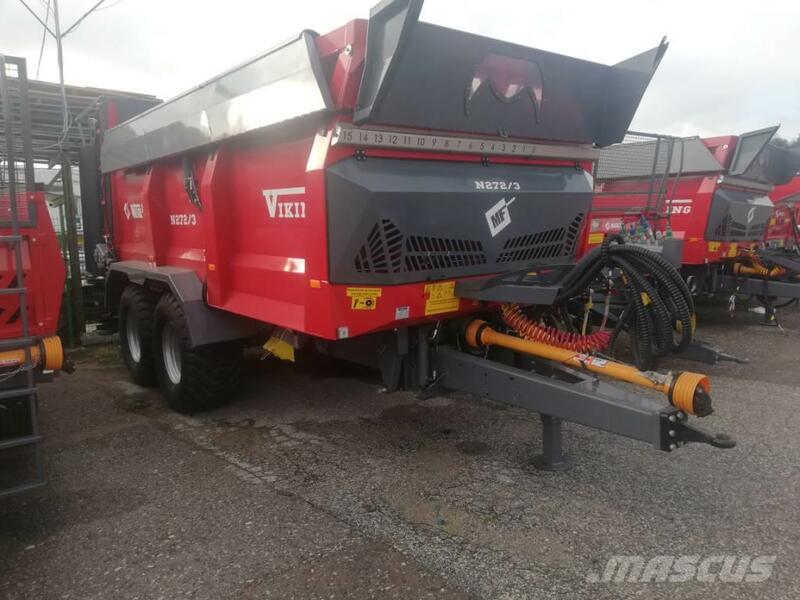 The 500 mm top sections of the Viking give 5 m3 of load capacity. 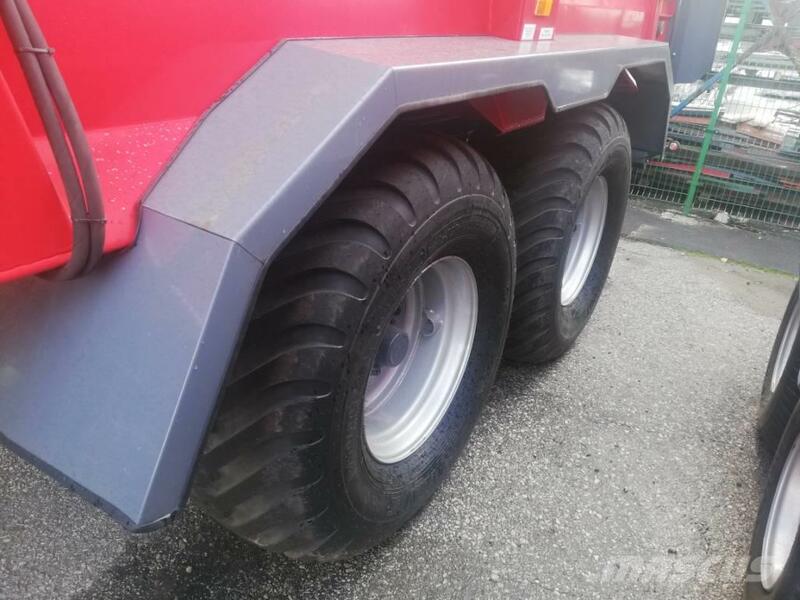 The overall load body dimensions are 5 m in length and 2 m in width. The floor to ground clearance is a mere 1.5 metres. The maximum tow bar load is 3 tonnes. The Viking features a shell type load body and a tow bar with hydraulic shock absorption for coupling with the lower hitch. The machine as standard features a Scharmuller hitch with a 40 mm lug. 50 mm lugs are available on special order. 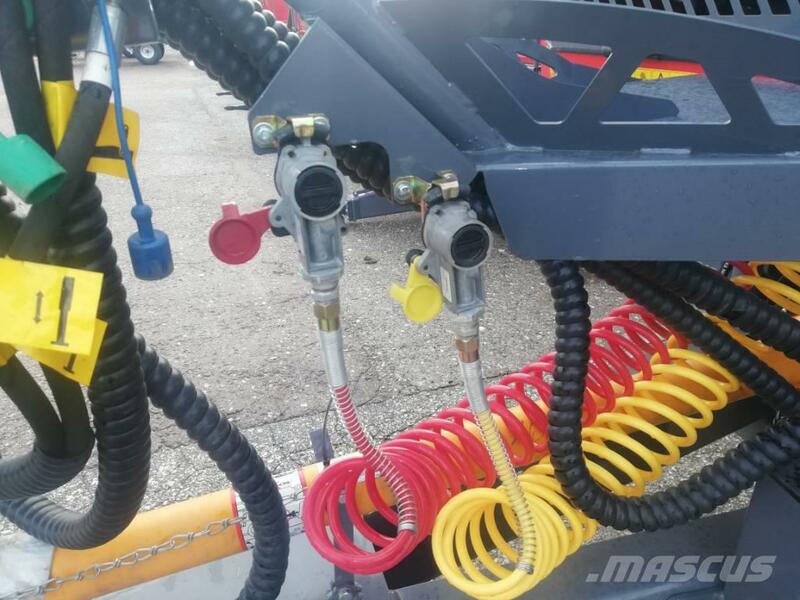 The hydraulic-powered support foot is also a standard accessory. The machine is controlled from the tractor cab. 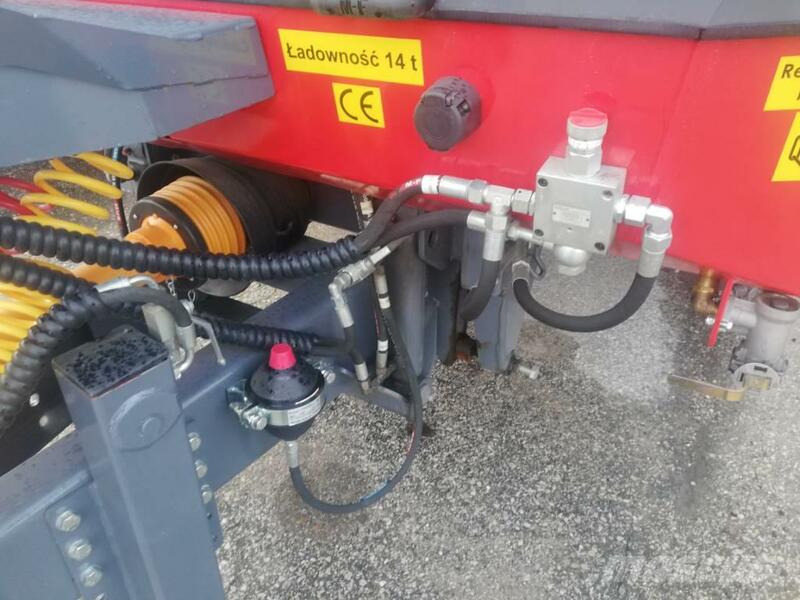 The hydraulic DCV is an optional accessory. 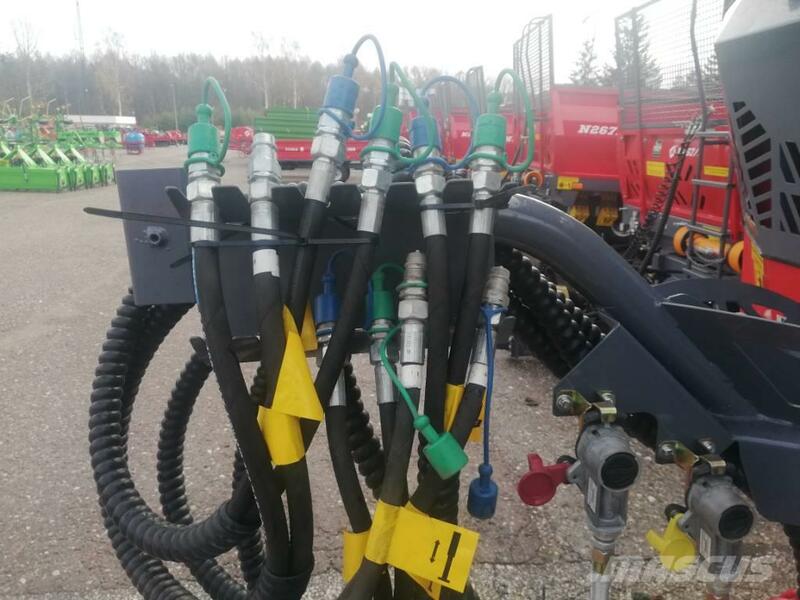 The basic Viking version has a pneumatic braking system, which can be optionally upgraded to a hydraulic system. The N272/3 Viking features a hydraulically actuated rear wall with a gate, and an access ladder for servicing the load body. We can organise transport directly to the place of your choosing. 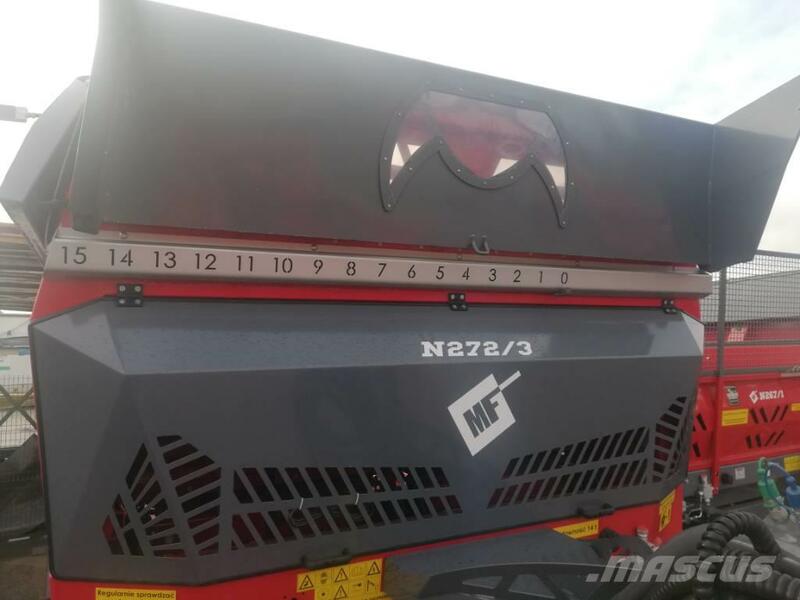 We have all Metal Fach machines available. Contact me and I will help you with completing the additional equipment for your needs. 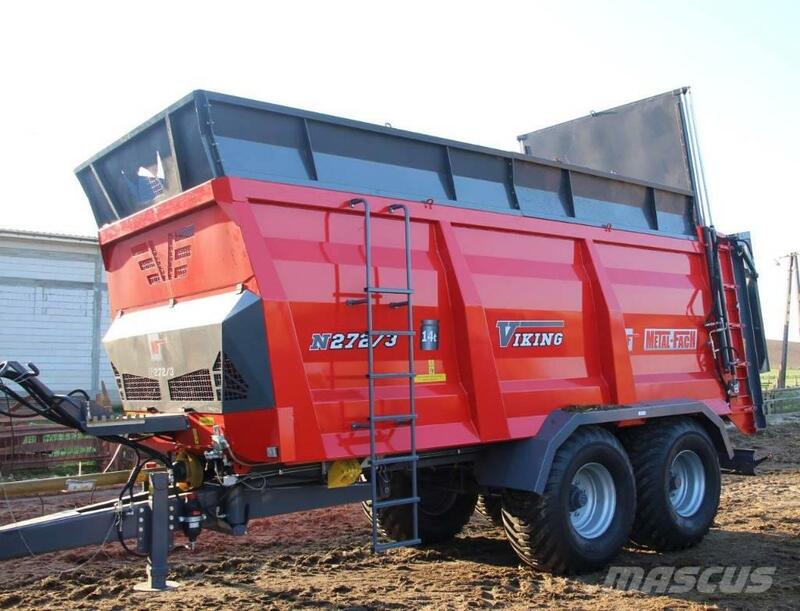 Visit our website for more details or other agricultural machines available.